Hearing loss is a common affliction, being the third most regularly occurring health condition behind arthritis and heart disease. What’s more, it can happen gradually, catching you by surprise. If you have any of the warning signs of hearing loss, such as ringing ears or difficulty following conversations, you might need a hearing test. But what can you expect from the test? Here are a few things you will be asked to do and what exactly the test will be looking for. As in-depth as they are, all hearing tests begin with a series of questions about your medical history and your hearing health history. This starts before you see the audiologist with a paper questionnaire designed to collect data such as any medical conditions you might have, why you are seeking the test, what symptoms you suffer, and any medical history of hearing difficulties. Your audiologist might ask about environmental factors that can contribute as well. Providing information that’s as in-depth and as accurate here as possible is important, as it gives the audiologist a direction to test in and helps them decide which tests to run first in order to eliminate or confirm the most likely diagnoses. Then comes the beginning of the tests, all of which begin with the outer and middle ear. Here are where the most visible and readily recognized signs of hearing loss are likely to show up, as many cases of hearing loss are caused by physical problems to these areas. 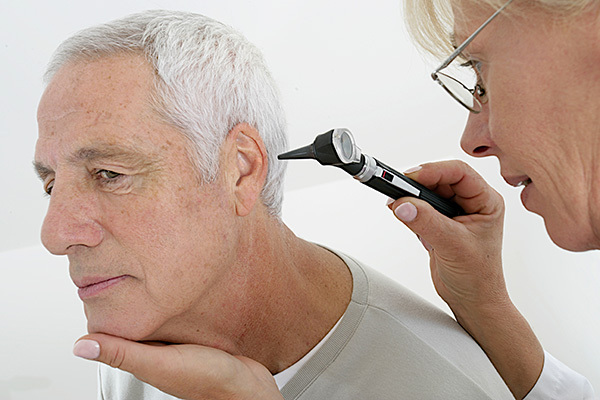 The audiologist will make use of an otoscope at this time, which is a magnifying and lighting device that helps them see much more in-depth. With this, not only can they see the ear canal and the eardrum for signs of damage. It’s also the most effective way to spots signs of treatable issues like an ear infection and earwax buildup. These two issues might stop the test and require treatment before it continues as they can get in the way of providing accurate results. Providing that there are no issues like wax buildup or infection preventing them from completing the test, the audiologist will then go on to test your inner ear. There are a variety of different tests for the inner ear and which you undergo largely depends on the questions answered before as well as any other indications the audiologist received from the previous test. It can include a pressure test, which shows eardrum condition, and a tone test to show whether your ear picks up as wide a range of tones and pitches as it should. It might also include a speech test where you are asked to repeat spoken words and phrases, as well as more specific tests to help look at the auditory nerve and the risk of tinnitus. Hearing tests are involved, comprehensive processes that take a three-step approach to accurately diagnosing your hearing as best as possible. It’s the best way to catch signs of hearing loss early to start doing something about it, so book your next hearing test as soon as you suspect you need one.